New Delhi: One of the most fan following twitter account known in the name as Sir Ravindra Jadega was officially suspended by Twitter. The account was a parody account which used t take dig at different sets of people, celebrities and usually produced lots of photo shopped images. 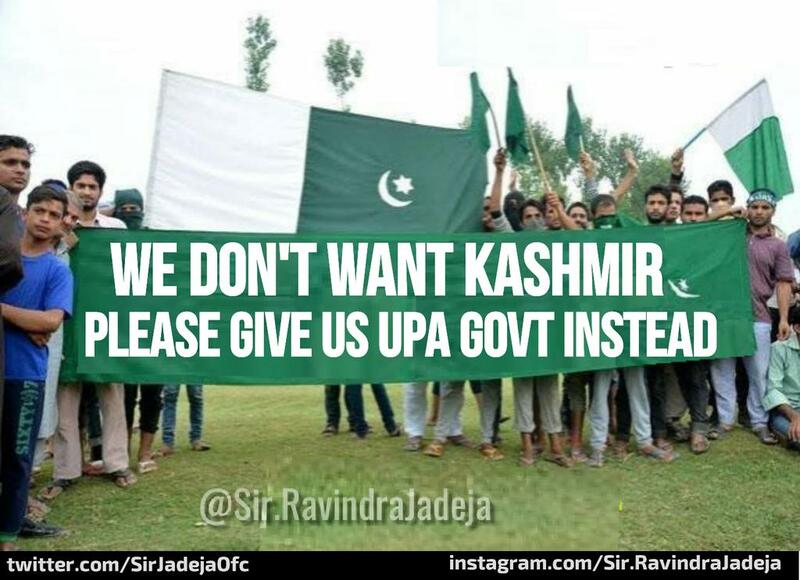 Sir Ravindra Jadega is yet back with another account, with another fan following request. The old account @sirJadega is no more and the new one to be followed is @sirjadejaaa. 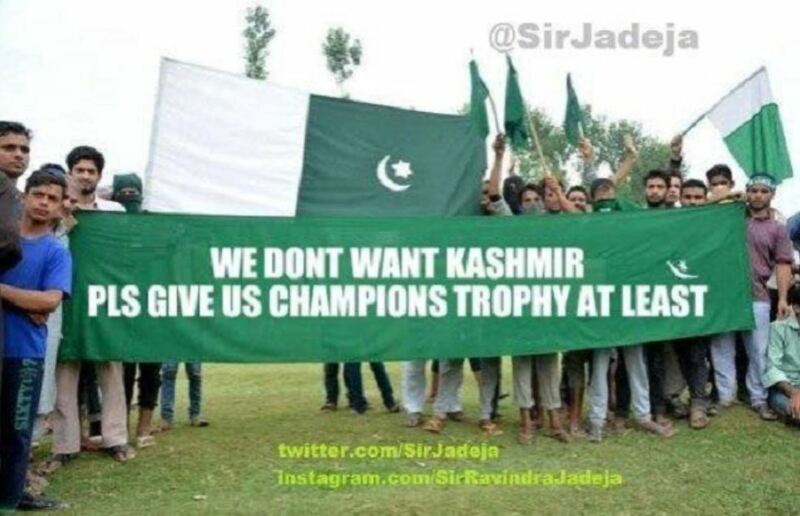 One of the most controversial tweets by this account handle was that of the image where a group of people are standing with the Pakistan flag and mentioned we want azaadi. This image was tweeted by the account several times with different names and text.